MSU Professor of Sociology Dr. Stephen Gasteyer has returned from spending last year as a Fulbright Fellow in Ramallah, West Bank. 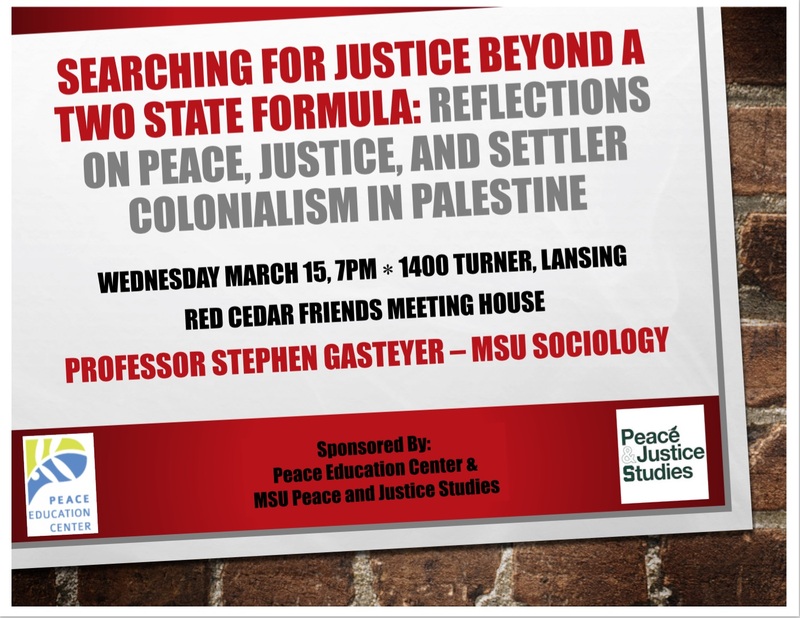 His work and study there is the source of this talk sponsored by the Peace Education Center and the MSU Peace and Justice Studies Program. This event is free and open to the public. Questions can be sent to the Peace Education Center by email to peaceedcenter@gmail.com or by calling 517-515-5634.